In the meantime, to help you get through the wait…. I thought I would do another easy prop tutorial: mini crowns! These are super popular but I never jumped on the train, mainly because the crafter in me knew there had to be a way to make it myself, just had to find the time! With a few of my January babies running a bit behind, I squeezed in some time last week to work this up for you! Ready? You are not going to believe how easy, inexpensive, and fast you can make these adorable little guys! You want to make sure every fiber has been soaked. I simply just flipped it around and around, squeezed, pressed, repeated until it was good and drenched. Then just squeeze/wring out the excess. Once you have gotten the majority of the excess liquid out, grab your wax or parchment paper and lay the trim out flat. You will want to get it as flat as you can. Press down any curled up or folded areas. Also ensure that there are no bubbles or webbing created in between the lace. OK so this step was a bit of trial and error and luckily it worked out well for me. Typically, I think you would want to just leave the trim alone and let it dry completely. Personally, I’m far too impatient for that so decided to give my microwave a whirl. It should be 99.9% dry and very stiff after the 5-6 rounds! Grab your desired color and paint away! Paint BOTH sides thoroughly. And the **most important** part to remember in this step is to ensure that no bubbles or webbing are formed in between the crocheted spaces. To get rid of any that formed on mine, I just picked it up and blew real hard… there is probably a better way to ensure you don’t get bubbles, but this worked for me You could also take a pin/needles and clear any tiny areas you see. Once you are in the clear, just place it back on the parchment and let it air dry a bit. I also trimmed my raw sides so they were nice and straight at this point. 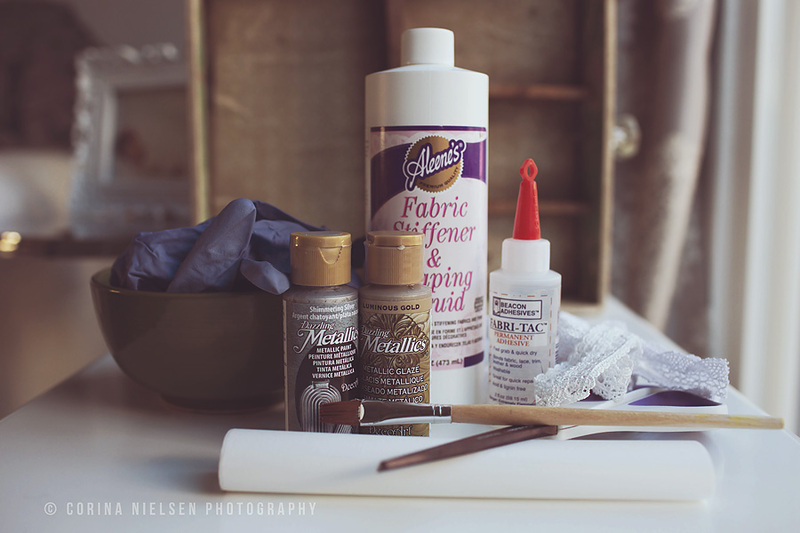 When the paint is more or less dry to the touch, grab your fabric adhesive or glue gun. Form the painted trim into a nice circle and place adhesive at one end. Secure the other end and hold for 20 seconds or until good and stuck. 1, 2, 3, 4, 5, 6…. and so on. Grab your cup, turn it upside down, and put the crown on top. I pushed mine down just a bit to make sure it was nice, snug, and had a good round shape. Don’t pull too hard or the ends will come undone (if using FabriTac) since this won’t be completely dry. Leave your crown on the cup to completely dry. I would suggest leaving it like this overnight but if you have to… at least wait a few hours! I’m like you too. I saw these online and thought the same thing…the crafter in me could make these for much cheaper! 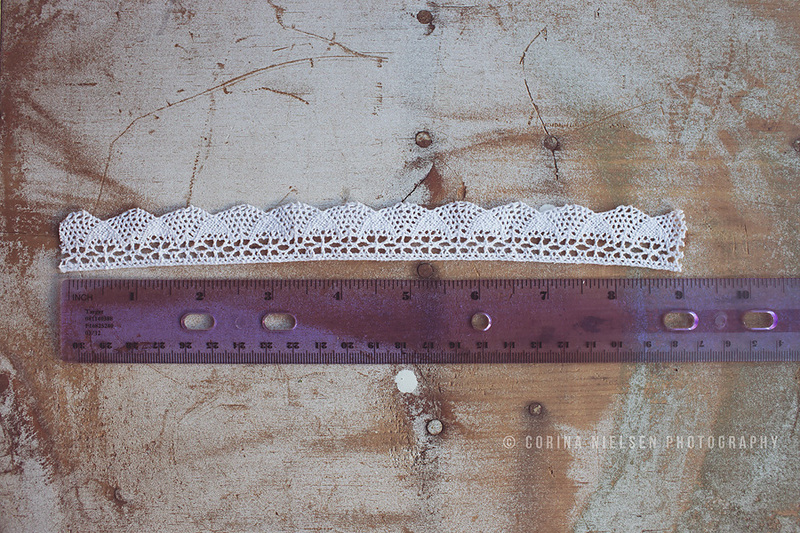 I used a thicker more detailed trim I found at Joanne’s which gave a pretty pointed crown. Also, Elmer’s glue works just as well. I sewed or glued mine into a circle first so it could stand on its own and then I painted glue onto it. I left mine cream like the original but I may have to try painting one next! Thank you. Help me much! Your tutorials are awesome! Such cute ideas. Very nice! Definitely gonna make this one! Thanks!! 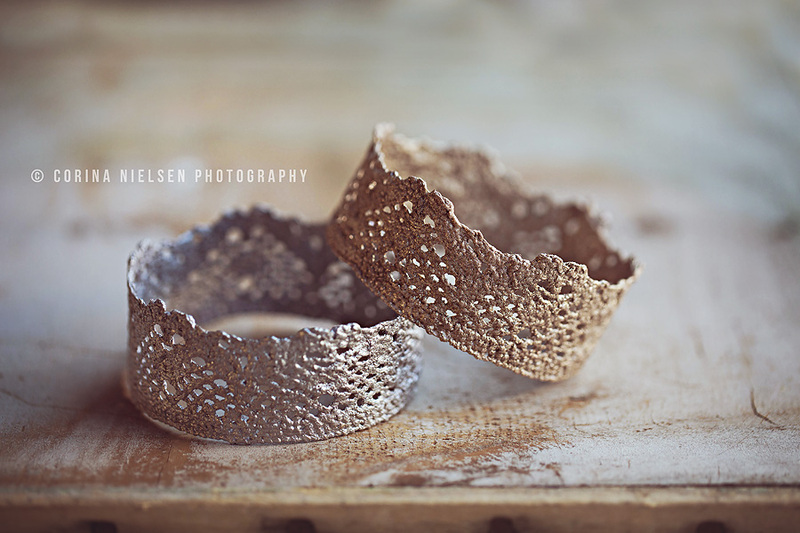 © Corina Nielsen 2012|ProPhoto Photo Blog by NetRivet, Inc.